"The Age Discrimination in Employment Act (ADEA) only forbids age discrimination against people who are age 40 or older. It does not protect workers under the age of 40, although some states do have laws that protect younger workers from age discrimination." However, we live in new a day and age where we constantly hear about the millennial founders breaking the bank after jumping into the startup deep end, and we simultaneously hear about the newly appointed corporate CEOs with over 40 years of work experience at a large company. And naturally there is a bias for anyone who doesn't fit this mold. In a corporate role, I met a business partner in-person after one year of a virtual work environment. Although he treated me with respect on the phone for the whole year, when we finally met in person, he said "I had no idea you were so young; you sound much older and authoritative". Subsequent phone meetings were much more callous, until he was reminded I was in charge. Of course, the lesson from these stories is that age should not be the reason you don't get a role that you really want. By focusing on the skills and attitude required for a role, you can send clear signals that you match the profile. Eventually, no one remembers your age, just your abilities and impact. And don't forget all the role models that have defied conventional wisdom about age. 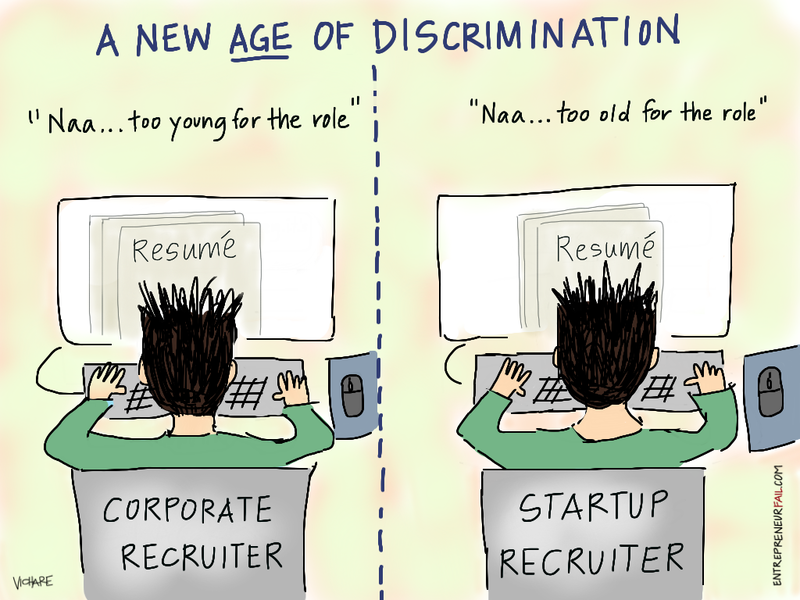 Have you experienced this new "age" of discrimination? Let us know about it in the comments below.